Carbon dioxide grew by 2.87 parts per million (ppm) at the mountain top observatory during 2018, jumping from an average of 407.05 ppm on Jan. 1, 2018, to 409.92 on Jan. 1, 2019, according to a new analysis of air samples collected by NOAA's Global Monitoring Division (GMD). "At a time when there's all this talk about how we should be decreasing CO2 emissions, the amount of CO2 we're putting into the atmosphere is clearly accelerating," Tans said. "It's no coincidence that the last four years also had the highest CO2 emissions on record." NOAA captures and analyzes air samples from a network of observatories and collecting stations around the world. Situated close to the top of Hawaii's Mauna Loa volcano, NOAA's observatory samples "background" samples of northern hemisphere air. 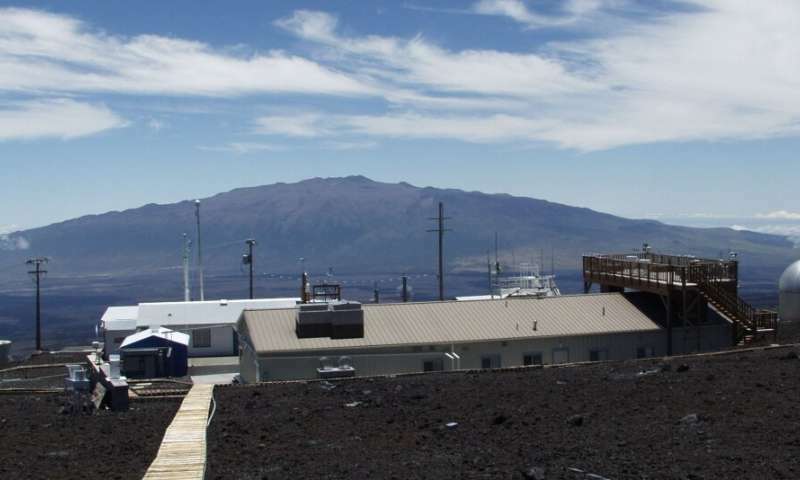 Mauna Loa is the oldest in the network and has the longest record of CO2 measurements. The increase observed in 2018 ranks behind only 2016's record jump of 3.01 ppm, 2015's near-record increase of 2.98 ppm and 1998's growth of 2.93 ppm/yr in the modern record. 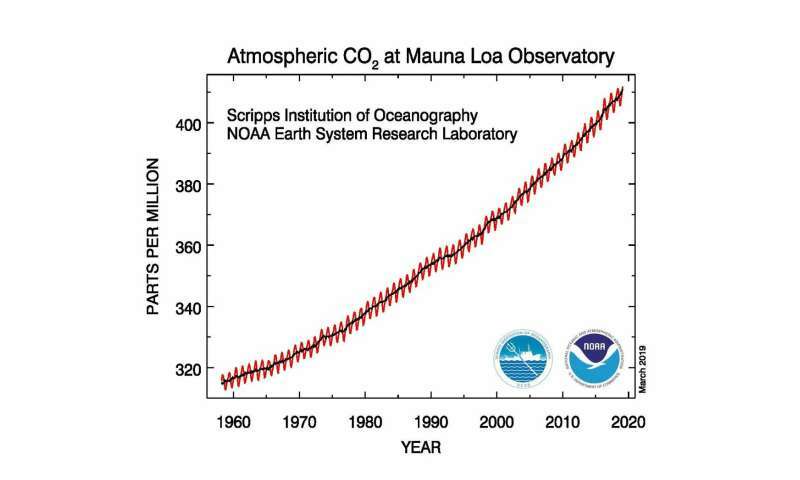 The record dates to March 1958 when David Keeling of the Scripps Institution of Oceanography started measuring atmospheric CO2 in what's known as the Keeling Curve. "Today's rise of CO2 is dominated by human activities," said Tans. "It's not from natural causes". NOAA tracks five primary greenhouse gases that warm the planet by trapping heat from Earth's surface that would otherwise escape into space including two chlorofluorocarbons controlled by the Montreal Protocol that damage Earth's ozone layer. All five gases account for about 96 percent of the atmosphere's increased heat-trapping capacity since 1750, another climate indicator tracked by NOAA.